Whether you're new to swimming or looking for a competitive edge, Life Time Swim Maple Grove has swimming lessons and programs to help everyone safely enjoy the water. Our convenient schedule, one-step registration and simple 30-day cancellation policy make it easy to dive right in. Learn to swim! Our customized, progressive swim lessons for kids and adults allow swimmers to graduate levels when they’re ready, keeping the same day and time you’ve already worked into your family’s schedule. Our USA Swimming Club team is a top competitor in Minnesota — thanks to our expert coaches, cutting-edge facilities and dedicated athletes. A coach assessment is required to join. Whether you’re a triathlete or just looking for a new workout, our highly trained coaches can help you reach your goals. You must be at least 18 years old and comfortable swimming laps to join our adult swimming classes. Unsure of your child’s swimming ability? 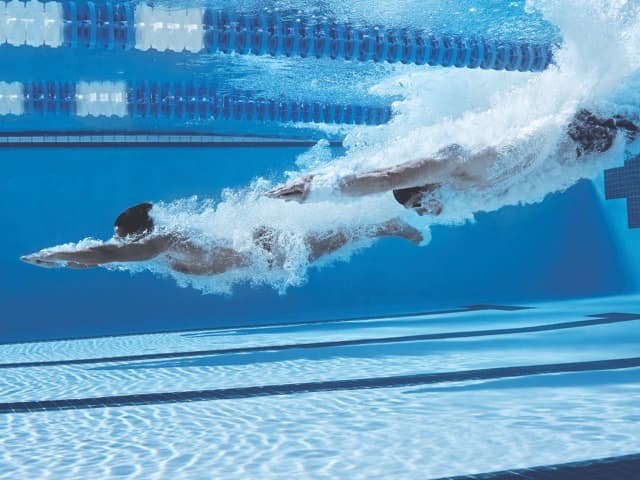 Schedule a complimentary swim assessment. During this 15-minute assessment, our swim instructors will evaluate your child’s skills to determine their starting swim level.